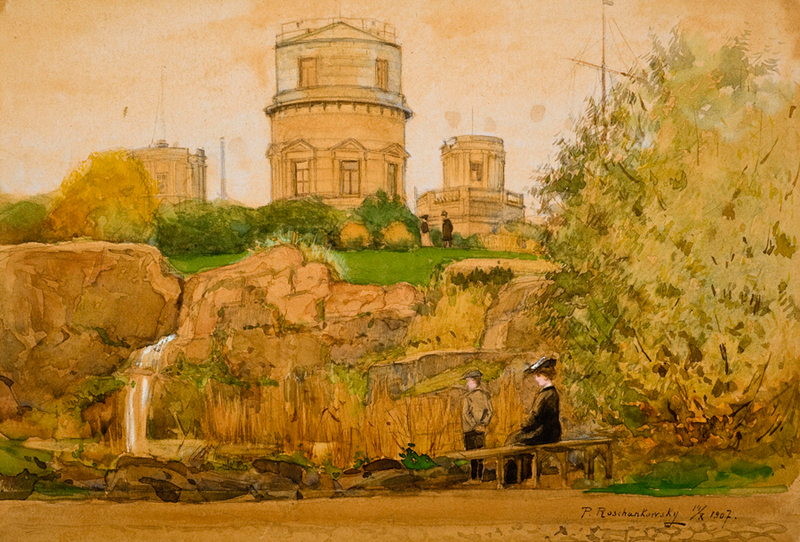 The design of the park on Tähtitorninvuori, which takes its Finnish name from the observatory on top of the hill, was Svante Olsson's first task as Helsinki's first City Gardener. 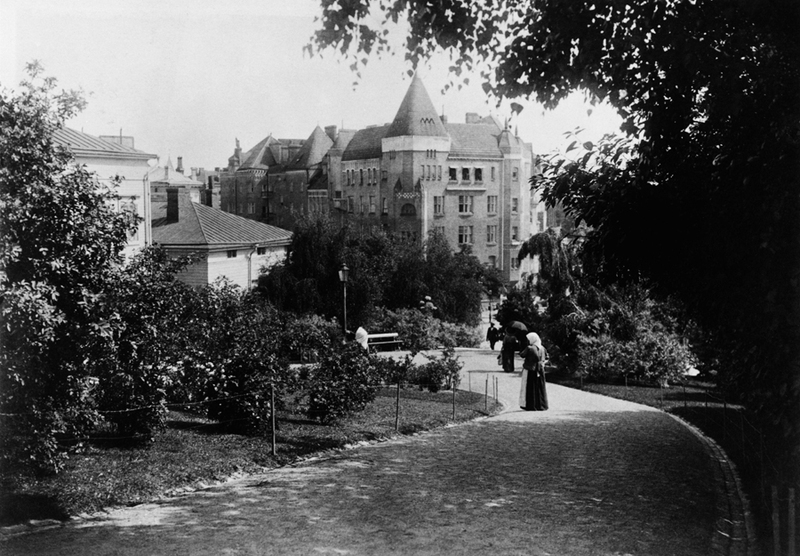 Completed in 1904, this park which surpassed its contemporaries is considered to be one of Olsson's most important achievements and one of Finland's most significant historical city parks. At that time, the hill was known by the name Kasaberget, which means "flare hill" in Swedish. It was part of a chain of lookout points along the Uusimaa coast, where messages of approaching danger were passed along by lighting fires. When the Viapori fortress was built in the middle of the 18th century, a small fortification known as Ulricasborg was erected on the hill. When that fortification was torn down, the university built an observatory on the site in 1834, from which the hill got its present-day name. In some schemes even the House of the Estates, a historical museum and a site for the Parliament building were designed for the impressive plateau atop the hill, but those plans weren't implemented. 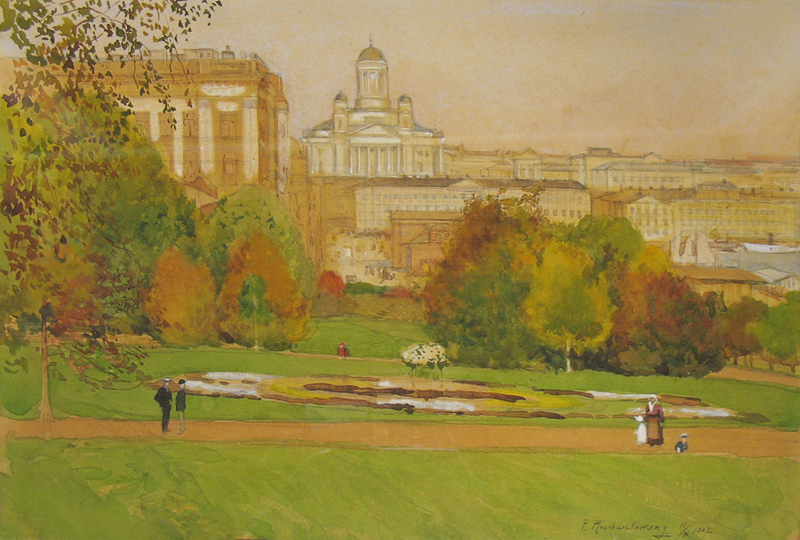 In the 1890s the severe, treeless cliff was transformed into a picturesque, green park, with no cost or effort spared. Tähtitorninvuori was designed in the German landscape park style of the time, which included curving paths, broad expanses of lawn, terraced terrain and carefully laid out groupings of trees and shrubs. The detailed plans for the park have observation areas which offer outstanding views of the city and the sea framed by vegetation. Tähtitorninvuori still has an interesting variety of plant species. There are many species and cultivars of trees and shrubs which are now quite rare. There are many flowering shrubs in particular: various lilacs (Syringa), mock-orange (Philadelphus), shrub roses, hawthorn (Crataegus), honeysuckle (Lonicera) and Snowball trees (Viburnum opulus 'Roseum'). A park management plan for Tähtitorninvuori Park was drawn up in early 2011.